Grand Prix Louisville has come and gone. I had a great finish with Miracles despite only playing a couple events with it beforehand. If it’s the best deck I might as well dive in head first and learn the fundamentals. It’s always great when a tournament designed as a learning experience actually yields one of my best results. I settled on a list that hybridized the traditional Monastery Mentor version and Joe Lossett’s legendary creature strategy. 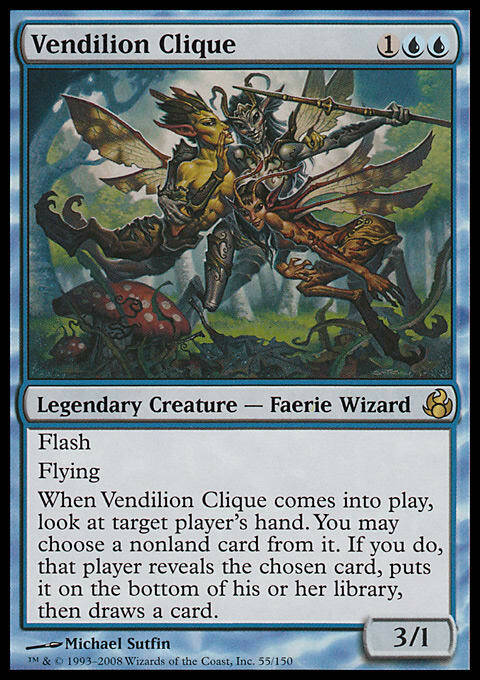 Vendilion Clique is one of my favorite creatures so I built around it. There are many players who love Monastery Mentor, but it’s not a Blue card I can pitch to Force of Will. My preference is to play at instant-speed as much as possible and I wanted to cast fun spells. 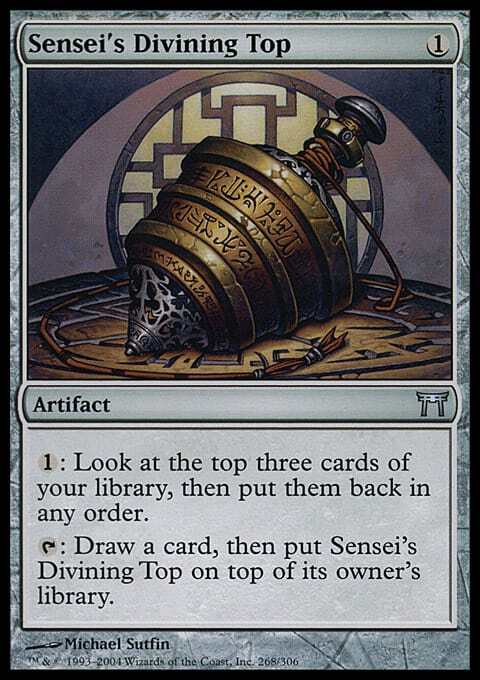 I accidentally activated Sensei's Divining Top with a Phyrexian Revoker in play naming top. This should be an easy fix except I Brainstormed a Terminus to the top on the previous turn, but couldn’t prove that. The end result was that I had to shuffle my deck which made the game more complicated, but pulled it out. 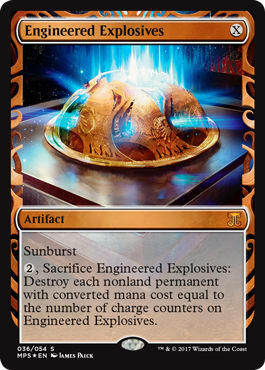 I like the matchup; Wear // Tear and Engineered Explosives are the key sideboard cards. This matchup has the potential to go to time so I made sure to play fast and avoid a draw which is what got me into trouble. I didn’t have a ton of action outside of Brainstorm + Terminus combo. It was cast too early and he was able to rebuild. I was afraid that he would play around Terminus by simply attacking with the three creatures in play and the same creatures would die anyway. I needed to wait on Terminus because I needed additional turns to set up my own game plan. Elves is traditionally a great matchup for Miracles, but Legacy also rewards the player with more experience in a matchup. Cunedoggle is one of those guys that has my number. I never beat that guy. Blood Moon plays a key role in this matchup. I could randomly lose to Life from the Loam card advantage or Knight of the Reliquary fetching a bunch of Wastelands. Make sure to interact with Mox Diamond so they don’t have more than one Forest to cast spells. Wear // Tear is great against them because it also kills Sylvan Library. The first game is about resolving counter-top, but your opponent may not have enough countermagic to fight it. These games can be lopsided thanks to Terminus and Swords to Plowshares not being a part of the game plan. If you draw too many early on it’s a big disadvantage. It’s hard to fight a resolved counter-top combo because a single Engineered Explosives is not industry-standard. 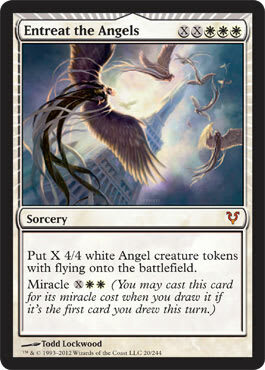 Entreat the Angels isn’t great either in Game 1 because the opponent has so many Terminus. I got lucky to win the third game against counter-top by hardcasting Entreat the Angels for 2. My opponent couldn’t find the second Engineered Explosives in time to stop the angel beats. Terminus isn’t great post-board, but it can stop entreat from randomly stealing games. This deck was interesting. turn one Mountain into Bomat Courier sent a Burn message, but Force of Will on my first spell made things clear. Overall, I like these types of matchups because Counterbalance with a 1 on top is tough for them to beat. 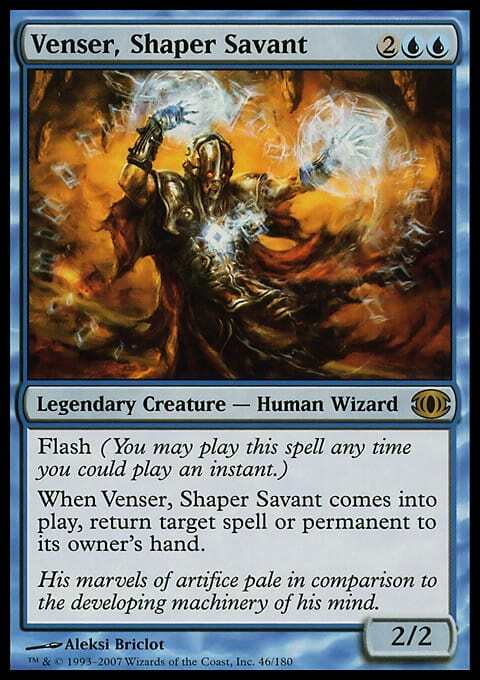 Venser, Shaper Savant was cool because it bounced a Courier and then ate an unflipped Delver of Secrets. This felt like a tough matchup. I basically conceded the first game because Venser needed to bounce Ensnaring Bridge and Blood Moon while simultaneously stopping Chandra from creating the 5 damage emblem. If I had 30 minutes to think I might have come up with a good game plan, but I decided it was a better idea to try and win the next two games. Once I had Wear // Tear and Engineered Explosives to interact with the troublesome permanents the games went smoothly. Sultai Delver is a tough matchup because they have so many spells that all interact favorably against Miracles. Abrupt Decay makes it difficult to gain traction with counter-top. Liliana of the Veil is difficult to kill and can win a game by herself. 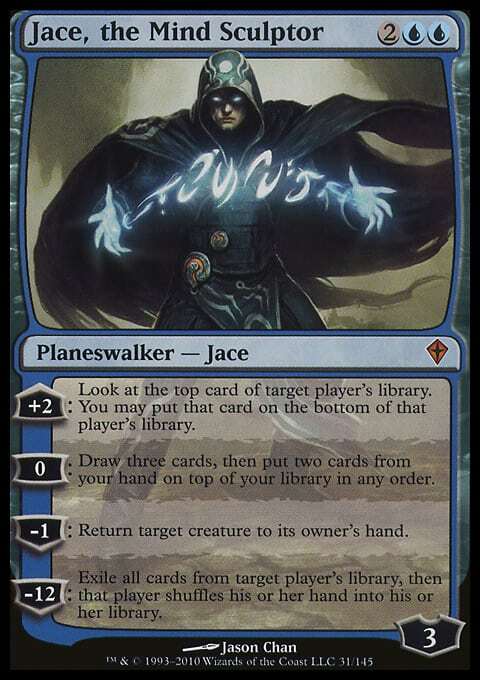 I have a trump card in Jace, the Mind Sculptor. It’s tough for them to kill a 4-drop since Abrupt Decay is their primary removal spell. The post-board games are about resolving Blood Moon and From the Ashes to stop them from playing spells. 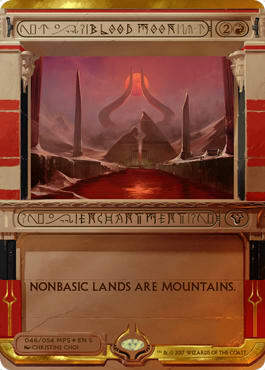 When Blood Moon is in play your duals and fetches are non-basic mountains; this means From the Ashes can destroy useless Mountains and get untapped Islands and Plains. This came up in round 9 so I could blow up all the lands in play and then cast a Vendilion Clique to win. Another close matchup where the first two games could have gone either way. I lost the first game because I didn’t fateseal with Jace and it died to Lightning Bolt. Steve made a good play where he cast the bolt off of Deathrite Shaman so I didn’t know he had Red until it was too late. The Delver decks go bigger against me in post-board games and I fight back by spamming Blood Moon effects. I was able to jockey for position long enough to resolve a Blood Moon to lock him out of the game. The third game was anticlimactic. He only played a Wasteland. I got lucky that game and I think day 2 will be difficult given that I only got a couple hours of sleep. There’s also a murderer's row of players near the top of the standings. Third Delver matchup in a row, but I lose this one. This was my first match against Michael even though we play in a lot of the same events. He played well and I just got beat. I needed to formulate a better Delver plan because I felt lost in this match. Mark is a great player part of team East-West Bowl. We have played once before and I feel like I have his number. His turn one Show and Tell for Omniscience with Force of Will backup was met with a Venser, Shaper Savant bouncing it. The second game wasn’t as eventful. There was some jockeying for position around my counterbalance-top combo and didn’t have enough to break through. It felt like this was the first match where losing the dice roll was important. My opponent began with Dark Confidant and Liliana of the Veil on the play off of Mox Diamond. I died pretty hard. 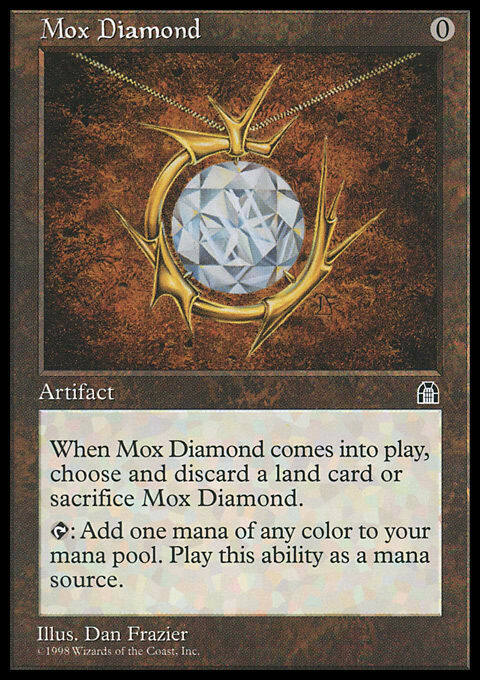 The post board games were both won off of the back of Blood Moon and destroying a Mox Diamond to shut off colored mana. I had another decent hand for Game 1 that could assemble counter-top early. My combo was forced through only to fall to maindeck Engineered Explosives. The second game was extremely lucky for me to win. Once I felt like all hope was lost and my opponent assembled counter-top I miracled Entreat the Angels for four and won the next turn. I didn’t know what deck Cody was playing which made Game 1 challenging. 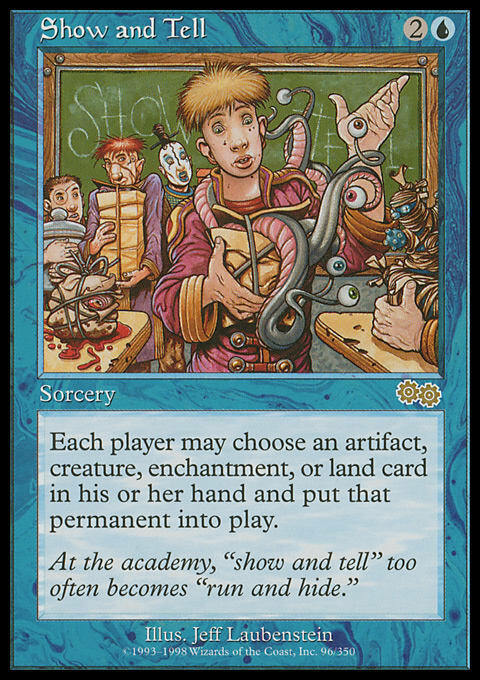 He had a solid hand and resolved Show and Tell through Vendilion Clique and Force of Will. My second game involved keeping a 2-land hand and getting Brainstorm locked. It was an unfortunate way to be dispatched from top 8 contention, but I ran miraculously up to that point so I can’t complain too much. My spoils from a 13th place included 3 pro points and $1,000. This puts me at 11 points for the season so I’m on track to hit silver for the third year in a row. I’m also 12 points away from 150 lifetime pro points for a hall of fame vote which would be awesome to achieve this year. This event makes me want to play more Legacy because the games were interesting and only a few didn’t involve a lot of work. I felt like all of the matchups were winnable with a little more experience. I decided it was better value to learn Miracles than to stay in my corner and play Stoneforge Mystic for the 1,000th time. This deck was winning a lot in testing so I wouldn’t discount it. This strategy will be great. The cat’s out of the bag. The most obvious build of this deck features a draw-go strategy thanks to the power of Torrential Gearhulk. I would like to take the curve down thanks to all of the different ways Red has to nickel-and-dime your opponent. Shock, Thopter tokens, Wandering Fumarole, Chandra, Torch of Defiance, and Saheeli Rai will all deal damage here and there. In most cases that isn’t a huge deal, but it can pressure the opponent that is scared of death by a thousand cats. I think the core of this deck will be pretty amazing in Standard and I’m honestly surprised it wasn’t banned ahead of the set being released. Luckily Shock can kill Saheeli Rai mid-combo and can be played effortlessly in both control and aggro. There are plenty of ways to jam this two card combo into a deck. It will be hated out so remember to distract your opponent with something else at the same time. Negate can stop your opponent from killing Felidar Guardian as you attempt to make infinite copies and can also counter threats like Gideon, Ally of Zendikar. It lost a little value as Smuggler's Copter is now banned. I expect B/G Delirium to be a contender and they will attack your hand with Transgress the Mind and Pick the Brain. Nahiri, the Harbinger in the sideboard may be aggressive, but I need a way to kill enchantments. A level 1 answer to the combo is Thalia, Heretic Cathar, but a more annoying permanent is Authority of the Consuls. Not only does your opponent gain an arbitrarily large amount of life, but you can’t attack because all of the cats enter the battlefield tapped. 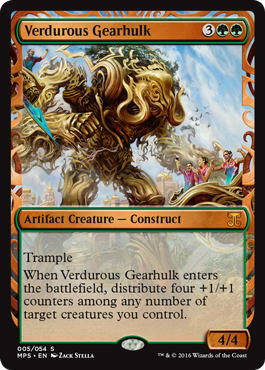 I now have both Verdurous Gearhulk and Noxious Gearhulk at the top of the curve since Emrakul, the Promised End is now banned. Pilgrim's Eye is less useful because I play 24 lands and already have two artifacts. Since Emrakul isn’t in the deck it doesn’t matter if you get “Super Delirium.” Four card types are all that is necessary. I added the 24th land to make the four Tireless Trackers more powerful. The reason I want four Tireless Trackers is the synergy with sacrificing clues and triggering the Revolt clause on Fatal Push. The 4/3 body of Tireless Tracker is also good at killing Gideon and Saheeli Rai. Ruinous Path is in the deck because I expect Saheeli Rai sees a ton of play. I don’t want to be dead in the water when they land her on turn three. It can also be expected that an Emrakul ban takes down the number of Aetherworks Marvel decks and that means G/B Delirium decks can roam free once again. I also want the awaken mechanic in my deck now that I need to find additional late game mana sinks. To the Slaughter will kill Ulamog, the Ceasless Hunger and Chandra out of a new version of Aetherworks Marvel. It’s also a way to kill both sides of the CopyCat combo. The Delirium mirror will be more centered around the midrange threats now that you can’t top out at Emrakul. Yahenni's Expertise is a hedge against possible token decks based around Sram's Expertise. It’s stock also went up with Smuggler's Copter getting banned. Who wants to wipe the board when half of the threats are left in play? I can now destroy early creatures and put Tireless Tracker in play afterward. I plan on attending SCG Columbus, the first big event to feature Standard with the bans and Aether Revolt. It would be surprising if I didn’t register one of these two strategies. There’s a ton of cat puns I can make while dealing a billion damage or I can crush with Ishkanah, Grafwidow, once again. Tyler Hill is the only member of Team Ann Arbor going to the Pro Tour in Dublin so I plan to learn the format to help him prepare. In conclusion, Legacy is great and Standard is going to be interesting. G/B Delirium and CopyCat will be two big decks for week one. Who knows what weird decks will come from the woodwork after that.